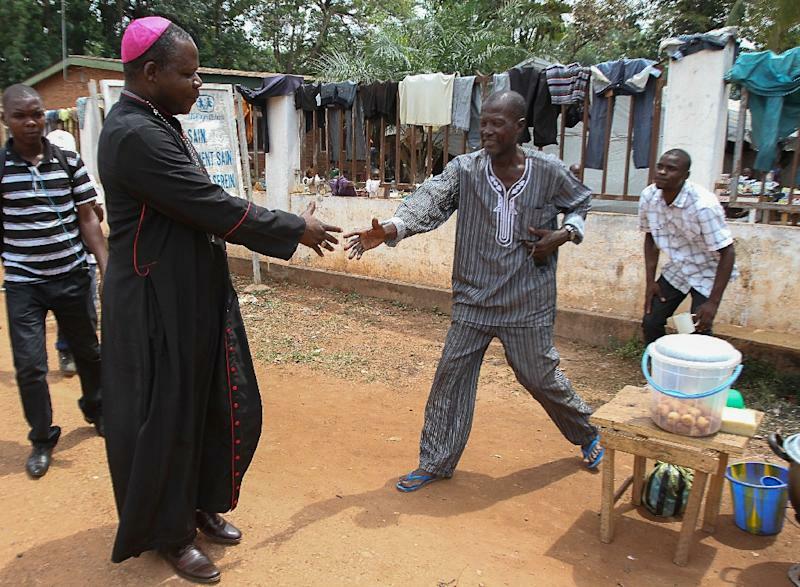 Bangui (Central African Republic) (AFP) - Fervent Roman Catholics in the Central African Republic, faced with almost daily killings, are counting on Pope Francis to help save their battered nation when he is scheduled to visit late in November. "If we take the number of countries there are in the world... we stand for nothing with the desolate spectacle we offer. But it's in this bloody mess that the pope wants to stay. I tell myself that God wants to lead us to salvation," a member of the transitional administration told AFP, asking not to be named. 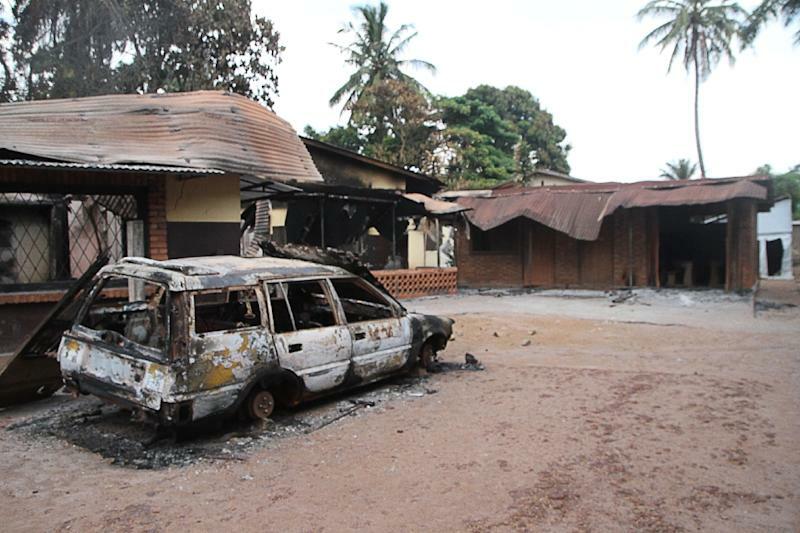 Dozens of people have been killed in past weeks and scores of homes torched and looted in a recent flare-up of sectarian clashes in the capital Bangui between vigilantes of the Christian majority and the Muslim minority population of the former French colony. Francis, 78, is scheduled to tour a camp for people displaced by the violence and visit a mosque in one of the most dangerous areas of Bangui before celebrating mass in a stadium. "The pope will bring us salvation. I believe this and I pray ceaselessly that everything will go well for him," said Marie Yangbo, a trader in the centre of Bangui, expressing both the hope and the fear prevailing ahead of the visit due on November 28 and 29. The Vatican's deputy spokesman Ciro Benedettini told AFP earlier this month that the papal visit to CAR may have to be cancelled if fighting in Bangui intensifies. Already deeply poor despite its mineral wealth including diamonds, the CAR plunged into chaos in March 2013 when mostly Muslim Seleka rebels ousted President Francois Bozize, a Christian, and installed their leader Michel Djotodia in power for 10 months. The interim regime that took power after foreign intervention, led by acting President Catherine Samba Panza, defends its failure to stop the bloodletting on the grounds that the army no longer exists, while the police and paramilitary gendarmerie are embryonic. A UN force some 10,800 strong, including a police contingent as well as soldiers and civilian staff, is largely responsible for keeping the peace, along with African Union forces and a French military mission. But the largely Christian anti-balaka ("anti-machete") militias and their armed Muslim rivals are rife in the southern capital and in the dusty interior of the country. Each side has committed widespread atrocities against civilians, driving hundreds of thousands to flee. Samba Panza is keen to see weapons handed back to former troops of the Central African Armed Forces (FACA), reviving the army not least to undertake security duties when the pope visits. The international community is categorically against rearming these men, recruited mostly by Bozize. A symbolic ceremony to reorganise the FACA last year turned into a disaster when the troops publicly broke ranks to lynch a suspected Seleka member. "The FACA must first become a republican force, ethnically balanced (and) respectful of human rights, before they can be rehabilitated," MINUSCA has stated. 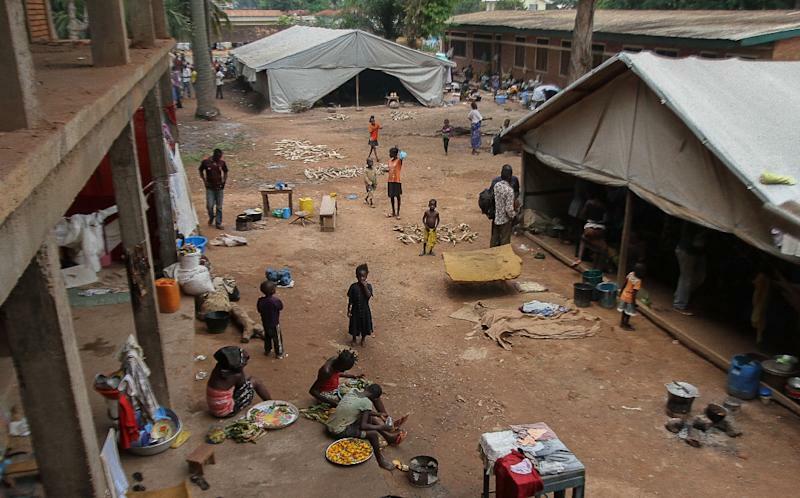 After the wave of killings and looting erupted in Bangui at the end of September, the government complained that UN troops were slow to respond. Then in a recent speech, Samba Panza argued that "barbaric and unacceptable practices are aimed at weakening the transition and have the disastrous intention of sabotaging the visit by Pope Francis." The acting president has urged her compatriots to give the pontiff a peaceful reception during his brief first trip to Africa, which will also take him to Kenya and Uganda. The visit, together with elections due in principle to be held by the end of the year, "should be lived by Central Africans as unifying, ecumenical and reforming events," particularly to help reconcile Christians and Muslims, Samba Panza said. "I don't know whether the international forces who haven't succeeded in making Bangui safe will be able to provide security when the time comes" for the Holy Father, a former FACA officer said, asking not to be named. "This is God's envoy who is coming. We are desperate about what we live through and worried about the future of the country," said Maurice Ngoula, a retired civil servant. "We don't know what's going to happen in this powderkeg. There are weapons everywhere in Bangui. It is dangerous for the pope's safety."